When asked why he chose to be a Family Medicine physician, Dr. Wall gives a well thought-out response. He feels that most of us growing up in Nebraska were instilled with a sense of place and community. Practicing medicine in Seward nurtures the building of relationships which results in better medical care. His workday is shared between his medical practice at the Seward Family Medical Center and serving as Memorial Hospital's emergency department physician. 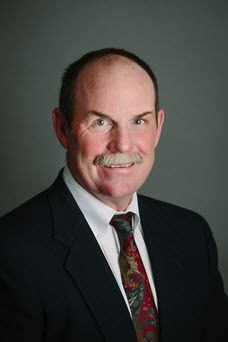 Dr. Wall is the director of the Memorial Hospital Emergency Department Committee and is medical director for the Seward, Garland, Staplehurst and Bee Emergency Medical Services (EMS). His passion for the outdoors draws him to kayaking on area lakes, hunting, fishing, reading and travel.